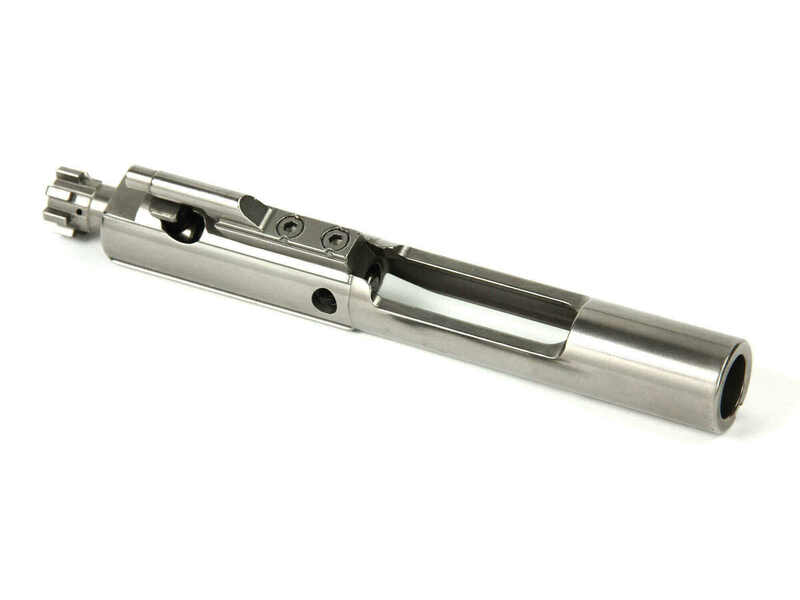 WMD Bolt Carrier Groups can provide a significant upgrade to an existing rifle, and the foundation of a quality AR-15 build. All WMD BCG components are manufactured by Defense Industrial Base suppliers to WMD’s exacting specifications to provide the best BCG available. Specifically engineered for NiB-X nickel boron coating to provide long life, high reliability and easy cleaning and maintenance. The BCG components are coated and polished to reduce fouling adherence. Coating is guaranteed for life against chipping, spalling or flaking. Over 30K rounds in Government protocol endurance testing did not wear the coating off. Especially beneficial in short barrel setups and suppressed platforms. Carrier – M4/16 style full auto (heavier) functions in AR15 and M4/16 platforms, 8620 material, heat treated and case hardened. Manufacturing tolerances and surface finishes tightly controlled. NiB-X coated for durability and ease of cleaning. Great piece of machinery !! Just a lite wipe with a piece of cloth & ready for the next one ! !